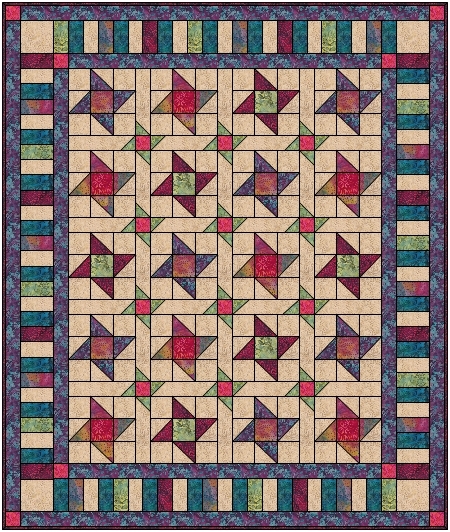 HMD-109 Friendship Parade (59" x 70") is a pieced quilt featuring Friendship Star blocks and sashing. Suitable for Advanced Beginners and beyond. 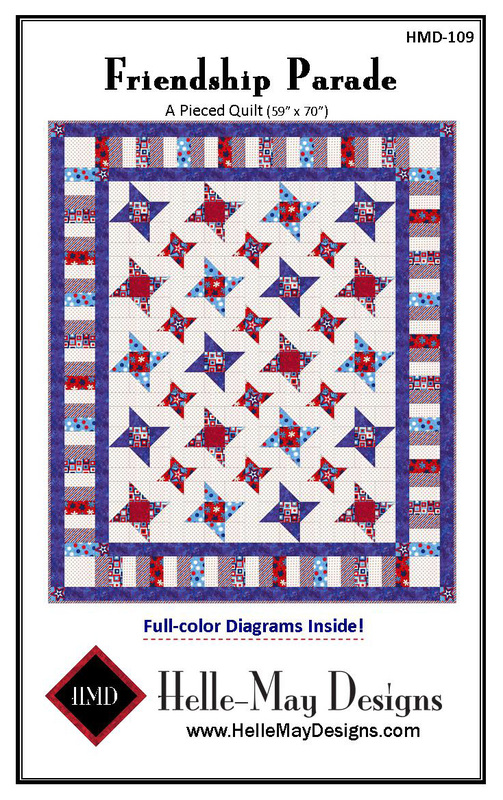 You'll love the full-color diagrams inside this pattern! 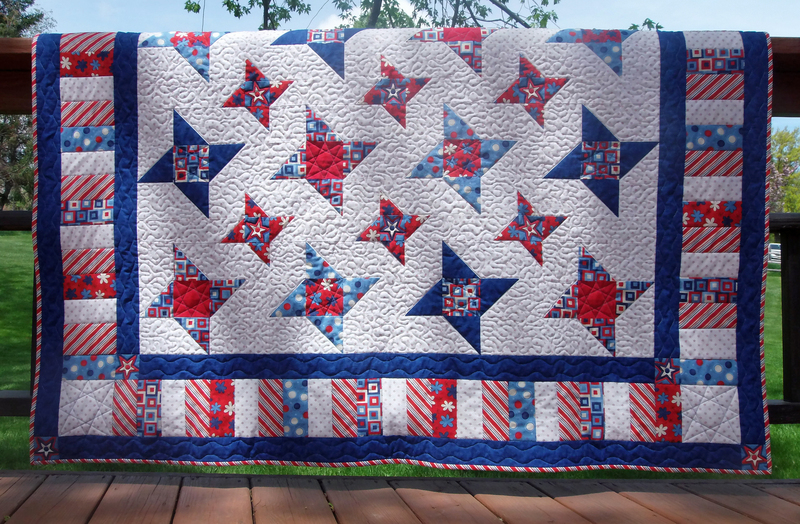 The quilt can be made with a set number of fabrics in a pre-determined pattern like the quilt on the cover, completely scrappy or somewhere in between. You decide! 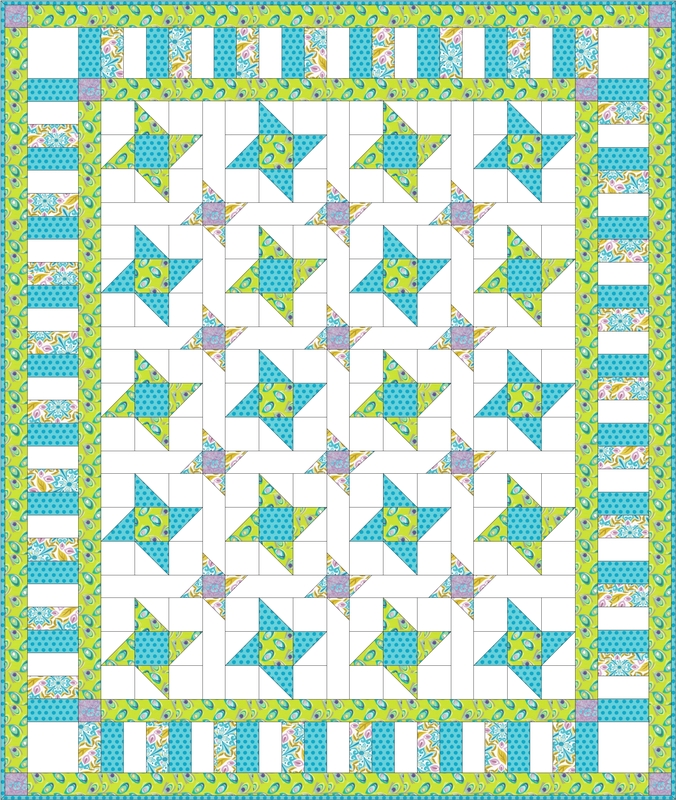 Feel free to have fun and use as many or as few fabrics as you like. Use the enclosed blank layout page to create your own design! these great variations of Friendship Parade!